A lunch will be held at the funeral home. As her family and friends can attest, Elaine “Marilyn” Germain was one of the sweetest people around. She had a fun sense of humor and a genuine love and concern for all who were within her reach. Marilyn’s love and devotion to her family was unmatched, and there was nothing she cherished more than being surrounded by their love. A lifelong resident of the community she loved, she was the sort of person who never met a stranger. Marilyn taught others to live by a moral compass and to think of others first and foremost through the way she lived her own life each and every day. Life will never be the same without her here, but she leaves behind a priceless legacy that her loved ones will proudly carry on in her footsteps. The 1930s were primarily defined by the dark days of the Great Depression. Jobs were hard to find, the unemployment rate soared, and things only went from bad to worse when a drought covered our nation’s heartland for nearly two years during this time. 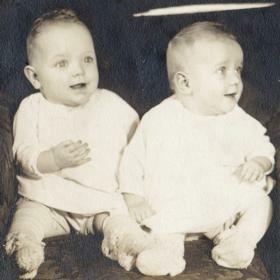 Despite the trials around them, John and Bridget (McManus) Peckels were able to shift their focus to an exciting time in their own lives as they announced the births of their twin baby girls, Elaine “Marilyn" and Evelyn, on May 12, 1935. Born in Kalamazoo, Michigan, Marilyn and her sister joined their older siblings, Betty, John, Richard, and Don in the Peckels family. Her father worked as a chauffeur while her mother was a dietician. The youngest in her family, Marilyn experienced a childhood that was fairly typical for the youth of her generation. She attended local schools but left during her 10th grade year to work at a laundromat in order to help make ends meet in the family. Even at this young age, Marilyn showed the incredibly strong work ethic that would remain with her for the rest of her life. 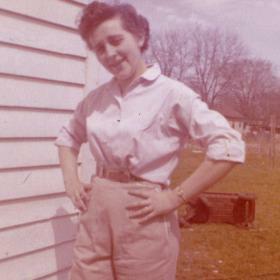 Eager for all that life had in store, Marilyn took a job at Jolly Kids where they made children’s clothing. This proved to be a fateful decision as it was there that she met the young man who would forever hold the key to her heart. His name was Bernie Germain, and they soon found themselves deeply in love. 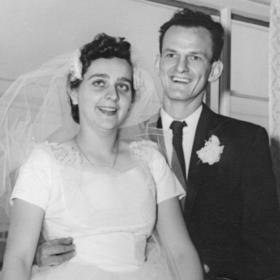 With a desire to establish a life together, Marilyn and Bernie were married on November 23, 1957, at St. Joseph Catholic Church. Together they welcomed three children including Sherie in 1958, Brian in 1964, and Ken in 1967 into their hearts and home. As a mother Marilyn was strict but loving, and her kids knew they weren’t really going to get away with much when she was around. She stayed home with her children during their younger years. Once they were a bit older, she spent 10 years working on the playground at Haverhill Elementary, which she really enjoyed. Marilyn was protective of her children as well, and she made sure they understood good old fashioned values, to treat others as they would like to be treated, and the importance of being honest. Throughout her life Marilyn was a bustle of activity. She worked on the production line at Upjohn for several years until retiring later in life. Marilyn was even recognized by the company for having put in 10 years without a single absence. Marilyn was an avid bowler who frequented both Airway and Sunset Lanes. Athletic and active, she was a pitcher on a softball team for years and later spent time coaching softball. Marilyn was also great at roller skating. Although they didn’t travel much as Marilyn preferred to be at home, they did take a memorable trip to Disneyland in California when their children were younger.  Later in life she and her husband traveled to Las Vegas and Branson, Missouri. A sports fan, Marilyn loved watching the Tigers, Lions, and U of M football. Truly one of a kind, Marilyn made life so much fun. It has been said that she could come across as a toughie, but she really had a heart of marshmallow. Marilyn was the sort of person who would do anything for anyone, and although she was hearing impaired she never let it hold her back. In fact, her kids didn’t have it any easier when they were trying to sneak in or out of the house! Family was always important, and she called her sister every day. Marilyn kept up with what was going on with her nieces, nephews, and grandchildren. She was known for her practical jokes, and she passed this fun-loving trait on to her children as well. With a deep love for family, she looked forward to holiday gatherings with Christmas being her favorite time of the year. Someone who supported her children and grandchildren in everything they did, Marilyn was there for their sports and activities for as long as she was able. She always had Life Saver candies, and she shared them with others, saying, “Here, have a Life Saver, it will save your life. It saved mine all these years.” Even after Bernie’s death in 2016, Marilyn’s strength and courage remained intact which got her through four surgeries, including triple bypass. While spending her final days at Kairos, her will to live even then was so inspiring. Marilyn never complained and always kept things upbeat. 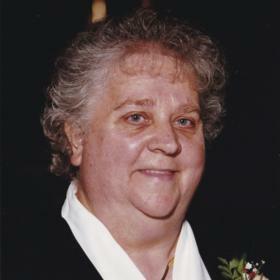 With a journey that spanned times of great change in the world around her, Marilyn Germain lived a life of purpose while holding her loved ones near. She was kind and generous with a passion for keeping her focus on the things that really matter in life. Marilyn was spirited and fun-loving with a humble and loving heart towards all who were near. She will never be forgotten. 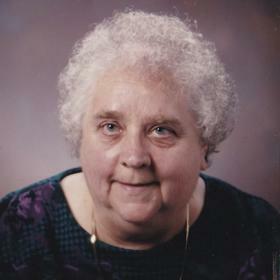 Marilyn Germain, of Portage, went to be with her Lord on Friday, September 22, 2017, at Kairos Dwelling in Kalamazoo. Marilyn’s family includes her three children: Sherie (Bill) Goodman, Brian (Cheryl) Germain and Ken (Theresa) Germain; six grandchildren: Brandon (Leah) Goodman, Tiffany (Ryan) Plunkett, Maria, Megan, Casey and Cameron Germain; 4 great-grandchildren: Rylan, Zoey , Easton and Alexa ; twin, Sister Evelyn “ Marian” ( Jim) Stuut; sister, Betty Locker; brother, John “Jack” Peckels; several nieces, nephews, and many good friends she ate with at Red’s and Burger Town restaurants and dear friends, Ron and Laurel Grofvert. Marilyn was preceded in death by her husband, Bernie in 2016 and2 brothers, Dicky and Donald Peckels. Visit with Marilyn’s family and friends on Monday from 5-8 p.m. at the Betzler Life Story Funeral Home, 6080 Stadium Drive, Kalamazoo 375-2900 where services will be held on Tuesday at 11 a.m. A luncheon will follow in the Life Story Center. Burial will take place at South Portage Cemetery. In honor of Marilyn feel free attend in jeans or other casual attire. 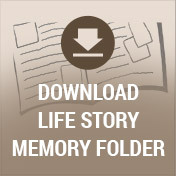 Please visit Marilyn’s personal memory page at www.BetzlerFuneralHome.com where you can share a favorite memory or photo and sign her online guestbook before coming to the funeral home. Memorial contributions may be made to Kairos Dwelling.